​Hello and welcome to our website. ​We hope you enjoy the pages and as this website is being renewed,,, it takes time to put on new Deerhounds and pedigrees. Chris and Richard are committed to the Deerhound Breed. ​Thats Type and Temperment !! Have a good look around and call us on 0427700816 if we can assist. 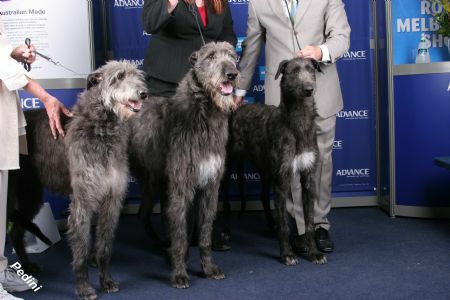 Deerhound Breeder of the Year (D.C.V) from 2005 to 2012. Deerhound Breeder of the Year (DOLPS) from 2009 to 2012. Number 2 All Hounds Breeder of Australia (DOLPS) 2009. Owner and Exhibitor of Deerhound of the Year (D.C.V) 2003 to 2005 then 2007 and 2010.